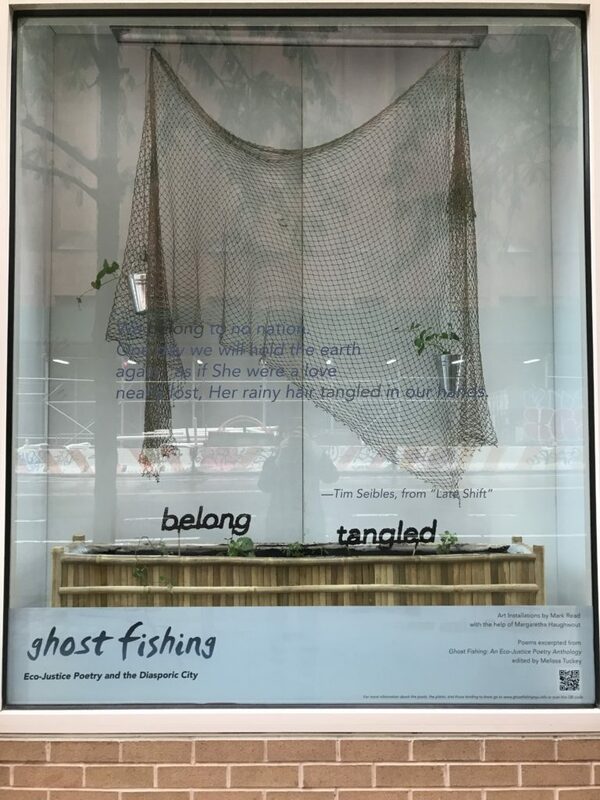 I was so honored to collaborate with Mark Read, Kathy Engels, and Pamela Jean Tinnen on the Ghostfishing: Eco-Justice Poetry and the Diasporic City project at NYU in September. 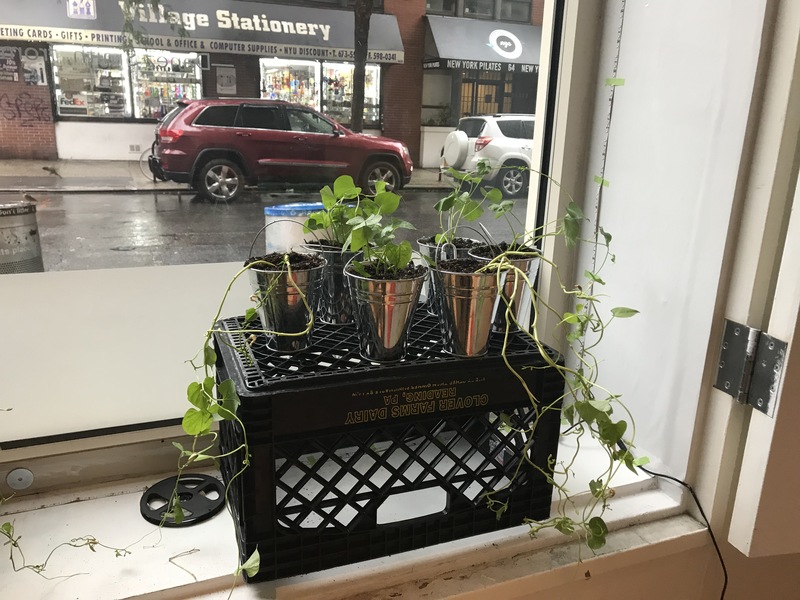 “Seen here across thirteen window vitrines are site-specific artworks: eleven poems and excerpts of poems that inspired their accompanying installations. 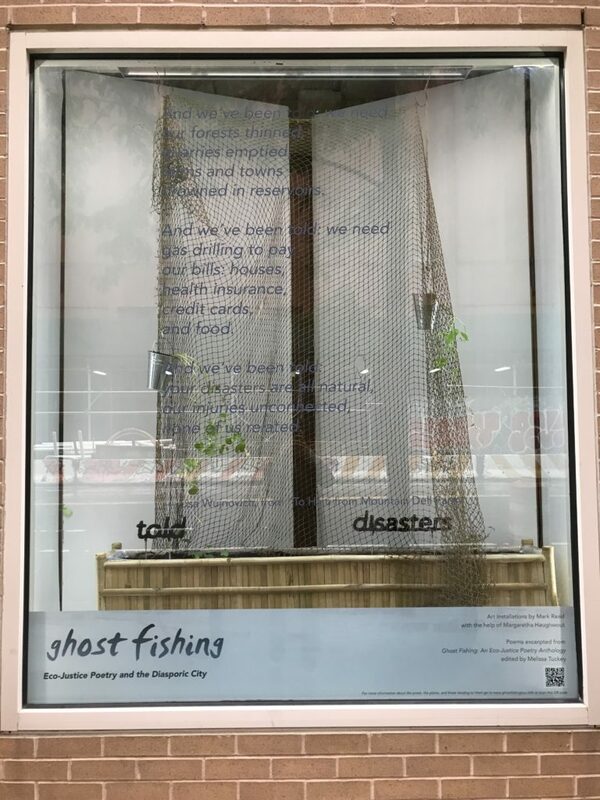 Through engagement with the recently released book Ghost Fishing: An Eco-Justice Poetry Anthology, plants and images were selected and are being tended to as an artistic response to the words of these generous and thoughtful poets. The resulting installations reflect the living conviction that the making of art, community and justice involves constant interaction, respect for, and dance with the natural world in the broadest sense. They were created to breathe in these windows in conversation with each other and each of you. They are defined by a sense of connectedness and possibility, while reflecting the stark realities of our times.